The following are links to other websites related to Chronic Kidney Disease and organizations that aid people with CKD. Exists to serve the needs, interests and welfare of all kidney patients and their families through education, medical, legal, and financial support, and other important resources. The leading national voluntary health organization providing direct financial assistance for the benefit of kidney patients supported by comprehensive educational programs, clinical research and community service projects. A nonprofit corporation to enhance and to assist the study and practice of nephrology and to meet the professional and continuing education needs of its members. Site includes list of member services, a link to the Journal of the ASN, facts & statistics, funding opportunities, and more. Home Dialysis Central was developed to raise the awareness and use of peritoneal dialysis (PD) and home hemodialysis. This site's mission is to bring together the worldwide kidney disease community. It offers information and resources for patients, caretakers, and health care professionals including forums for communication, a calendar of events, an infocenter, and more. Provides evidence-based clinical practice guidelines developed by volunteer physicians and health care providers for all phases of kidney disease and related complications, from diagnosis to monitoring and management. 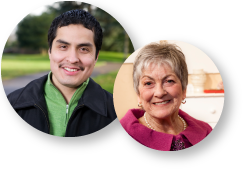 An interactive, web-based learning program in 20-minute modules, designed to help people learn about kidney disease and its treatment, how to adjust to kidney disease, how to make good medical choices, and to live as fully as possible. A program of research, research-based education, and outreach founded in 1993 to help people live long and live well with kidney disease. A national panel of doctors, researchers, patients, nurses, social workers, dietitians, and ESRD Network directors reviews all Life Options materials and helps guide research. Division of the National Institutes of Health encompassing research related to CRI. Find information about many different health topics, current research and clinical trials, advances, and initiatives. The National Institutes of Health is one of the world's foremost medical research centers, and the Federal focal point for medical research in the United States. The NIH is one of eight health agencies of the Public Health Services which, in turn, is part of the U.S. Department of Health and Human Services. The National Kidney Disease Education Program (NKDEP) is an initiative of the National Institutes of Health, designed to reduce the morbidity and mortality caused by kidney disease and its complications. A major voluntary health organization that seeks to prevent kidney and urinary tract diseases, improve the health and well-being of individuals and families affected by these diseases, and increase the availability of all organs for transplantation. An extensive repository for both the public and medical professions to learn more about kidney disease, diabetes, and hypertension. National web site for the Renal Physicians Association, offering services, publications, career opportunities, membership, and other resources. A national data system which collects, analyzes, and distributes information about end-stage renal disease (ESRD) in the United States.